Plenty going on on the Dee in the last few days, a White-winged Black Tern was the highlight. 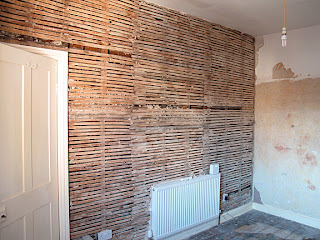 I missed out on this due to a rather large DIY issue getting in the way of good birding. See below! It got worse too. Now there is no back wall or ceiling but plenty of dust! I did manage to escape the room of doom for a brief visit to Inner Marsh Farm. The weather was not great, blustery showers spoiling the lovely afternoon light with dark, soaking interludes. At times the birds seemed to be a little fed up with the rain too. There was a great selection of waders on show. Black-tailed Godwits were feeding as singles or pairs with a small flock roosting at the back of the hide pool. No colour rings, but I wasn't expecting any in such a small number (just 20-odd on the reserve). 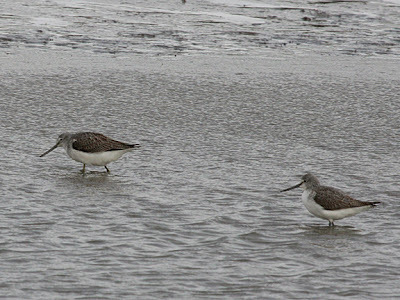 Two Greenshanks appeared out of nowhere, "choo-chooing" calls echoing around the muddy pools. They land and start swishing bills through the lagoons in search of food. Sweeping around the reserve with the scope I see loads of Teal and Snipe are very much in evidence, at least 20 spread around. Some feeding in the gloopy margins of the pools right in front of the hide and a few on the far side in the reeds, there are probably more, but they can be awkward to spot! There is something about small Calidrid waders that I really like. I suppose that might make me seen a little wierd, but I like the subtle differences in plumage between species and sexes that makes ID so tricky. I'm in for a treat at IMF today, as there are a few for me to study as the rain siles down and the birds sit tight, shoulders seeming hunched against the foul weather. 3 Little Stint are sharing an island with 2 Dunlin and a Curlew Sandpiper. Awesome! I can see these tricky species side by side to get a real handle on their distinguishing features. 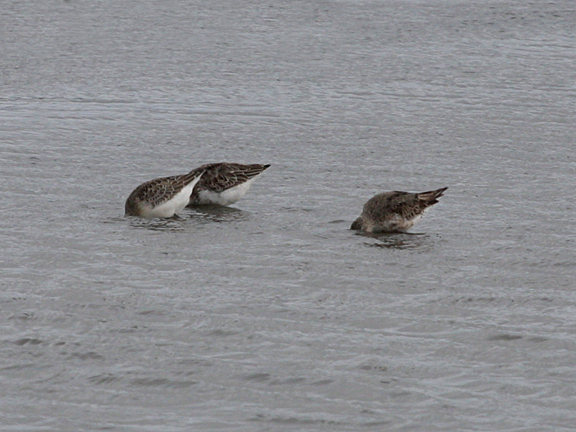 The Little Stints are tiny with short pointy bills - they're easy. 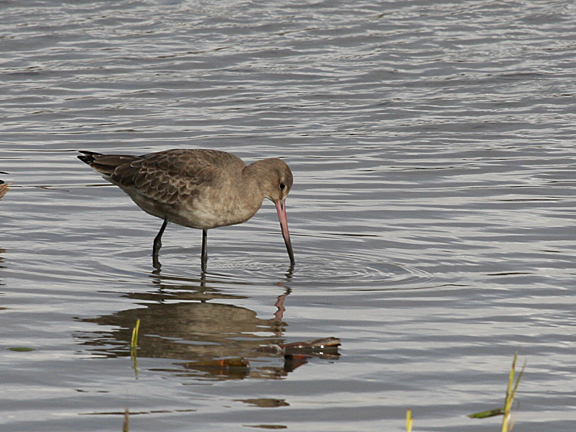 The Dunlins and the Curlew Sand were a pig to separate and photograph. After a while I can see the prominent eye stripe and the scale of the body and I pick the Curlew Sand out. You'll have to take my word for it as they spent so much time feeding with heads underwater that I couldn't get a picture of them to illustrate the key features! The right hand bird was the Curlew Sand!